Join us on Friday, February 8, 2019 for First Look for Charity at McCormick Place! Interact with state-of-the-art vehicles featured at the 2019 Chicago Auto Show prior to the general public, all while supporting critical breast health services in Chicagoland and global research. As a Komen Chicago supporter, enjoy a pre-event private reception with hors d’oeurves, cocktails and unique raffle prizes at one of Chicago’s most anticipated events. Our private reception will be a glam event featuring keynote speaker Cheryle Jackson! 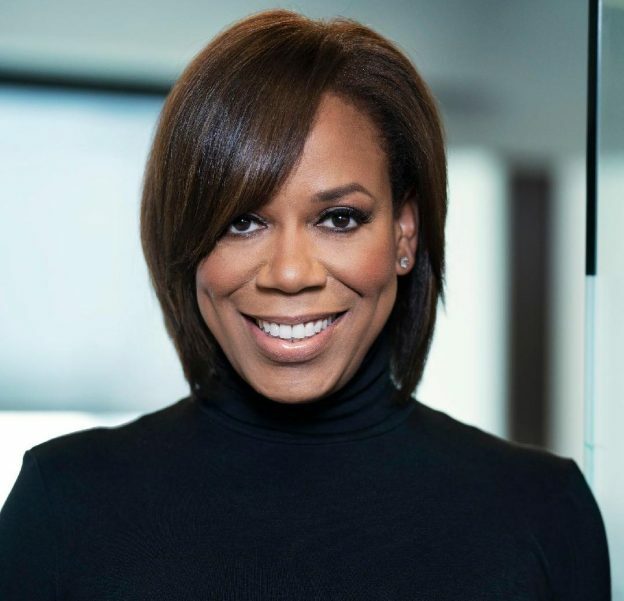 Cheryle is a breast cancer survivor, Senior VP of Global Business Development and President of AAR Africa, and serves on the boards of Business Council for International Understanding and the Congressional Black Caucus Policy Institute. She was the first female president of the Chicago Urban League, and gave a 2018 TED Talk called “Grit and Grace”. You will also have the chance to meet and greet celebrity guest of honor, Israel Idonije! 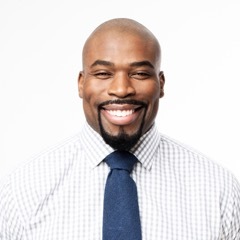 You might recognize Israel Idonije from his outstanding athletic career on the Chicago Bears, but we’re honoring him for his passion for funding programs that provide life-changing opportunities and educational skills to at-risk youth through his foundation iF Charities. Our reception emcee, Val Warner, is the Emmy Award-winning host of Windy City LIVE, ABC 7 Chicago’s popular afternoon talk and entertainment show. Val knows the importance of giving back to the community. She volunteers her free time helping numerous charitable organizations throughout the Chicago area including The Make-A-Wish Foundation and the South Suburban Family Shelter, among others. Every ticket purchase automatically enters you to win a 2019 Chevrolet Blazer or a 2019 Jeep Compass. Must be present to win. Black-tie attire (tuxedo wear) is mandatory. Tickets purchased by Jan. 28th will be mailed. All other tickets can be picked up at McCormick Place room S101B starting at 5:30pm the day of the event. First Look for Charity benefits Susan G. Komen Chicago and 17 other local charities. First Look for Charity and the Chicago Auto Show are presented by the Chicago Automobile Trade Association and new-car dealers of Chicagoland and northwest Indiana. By dedicating your ticket purchase to Komen Chicago you are helping us to raise funds which we invest in community grants for greatly needed resources such as mammograms, diagnostics, treatment, and support. Seventy-five percent of all net proceeds fund our community grant program and the remaining twenty-five percent funds cutting-edge global research. To learn more about the First Look for Charity Chicago Auto Show, please call us at 773-444-0061 or email events@komenchicago.org. Corporate partner packages now available for the 2019 Susan G. Komen First Look for Charity at the Chicago Auto Show! Click here for more information! Thank you for supporting Susan G. Komen Chicago at First Look for Charity on February 9th, 2018. Because of your dedication to Komen Chicago, we raised $66,000 that will help us fund more community support and more research, and provide more time for those living with breast cancer. Thank you again to Roz Varon, Debby Simpson, Keith Rich and Pfizer for being such a huge part of our evening and making our program so special.